Posted on 22/04/2013 by Jayson	in Markets Comments and tagged DJI, HSI, STI. 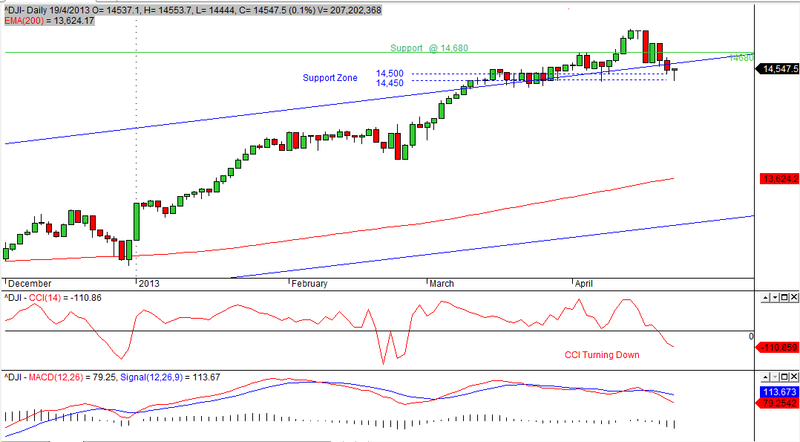 Dow Jones – The index has retraced to its older support of 14,450 – 14,500 last Friday (19 Apr 13). Day trader who stoodby this level and enter long would have benefit by now. DJI strongly rebounded to 14,719 on Tues 23/4. Do expect wider swings and higher volatility as the index climibs higher. The next strong resistance is at 15,100 to 15,200. HSI – The Hang Seng Index made a strong climb last Friday (19 Apr) to 22,013. HSI has been making low since the start of the last week till Thurs, where it was nearly its support of 21,280. The index is in a short to medium term downtrend. 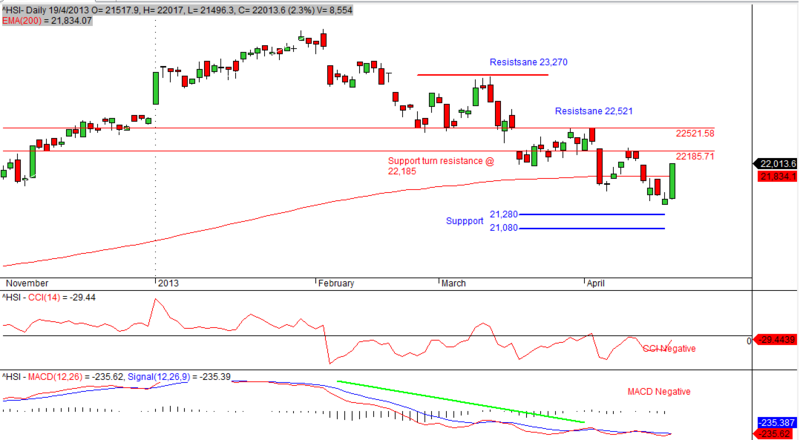 The down momentum is likely to continue and thenext support zone is around 21,080 to 21,280. For a reverasl to occuer, the index must clear resistance 22,521. STI – The Straits Times Index is still trapped in the rectangle (sideway). We shall expect STI t0 continue its sideway movement until it breaks its upper channel resistance and previous high of 3,331 clearly. However, from my observation, STI has been sticking on the upper reistance line. 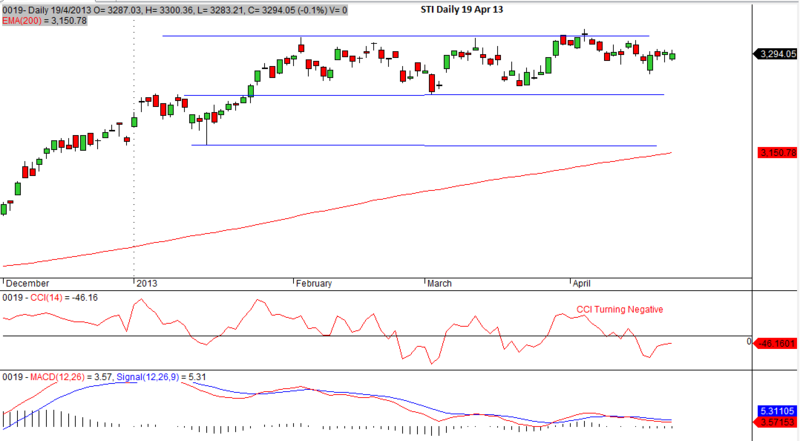 If this continues, it maybe soon that the STI gathers enough momentum to move up, breaking away from its restiance.